Experience waking up on the beachfront in a Samoan Beach Fale. Swim, Snorkel, Fish or Surf in crystal wam water and relax later with a cocktail in a hammock at Club Vaiula Bar. Vaiula Beach Fales is situated on absolute beach front in the village of Tafatafa on the south coast of the island of Upolu. Dave, Nugg and family are happy to welcome you to an unforgettable traditional Samoan experience. Safe lagoon tours or deep water drop off spots. Something for everyone. 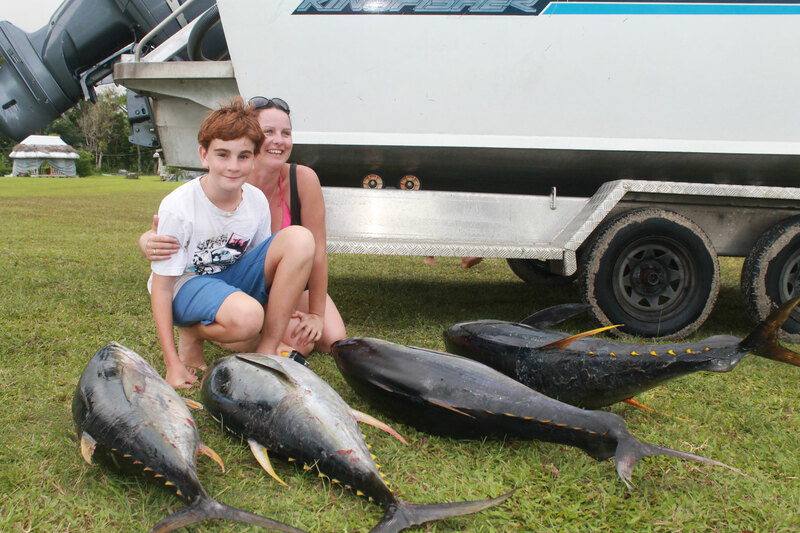 With 3 boats available, we have fishing for all budgets with Dave "Samoa's best Skipper "
Samoa Surf Secrets is based at Vaiula. We will guide you to the best waves on offer for the day. Accom, dinner & breakfast starts at 70 tala per night per person. We cater for individuals, small or large groups, we do weddings, family reunions, birthday parties & corporate functions.